The book is essentially a compilation of articles and essays written by scholars and activists on the acts of terror indulged in by the Hindutva forces. The book intends on violating the myth that all terrorist acts are carried out only by Muslims. 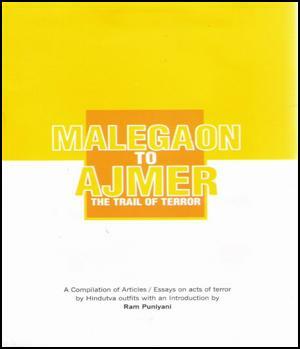 This book brings out evidence of acts of terrorism carried out by Hindutva outfits from all over India. It will help us to critically reflect at terrorism and trend of branding and criminalizing a community. This book neatly puts terrorism into perspective along with exploring the complicit role of the state in a democracy in the perpetuation of such outfits and acts which leads to the stigmatization and discrimination against one community. It exposes the threat of the Hindutva outfits that are using systematized force and violence which proves detrimental to peace and communal violence.